Atlantic City, New Jersey – Cage Fury Fighting Championships has promoted over 70 professional MMA events, primarily in New Jersey, Pennsylvania, and other venues in the Northeast region. Ranked in the top 10 of all regional MMA promotions, CFFC currently airs on the CBS Sports Network & iPPV and has sent nearly 30 fighters to the UFC, including Aljamain Sterling, Jimmie Rivera, Lyman Good, Zu Anyanwu and Paul Felder. Seattle, Washington – Founded by Washington MMA pioneer Joe DeRobbio, Combat Games MMA is a leader in Mixed Martial Arts fighting in their region. After spending more than 13 years as a referee & advocate for fighter safety – DeRobbio has paired up with Jason Robinett to lead the Alliance effort in the Pacific Northwest Region. With 60 events over the last 8 years, COGA promises a bright future to ambitious athlete that step into their cage. They played host to stars such as Demetrius Johnson – who was their first bantamweight amateur champion before going Pro and eventually becoming the current UFC Champion with the longest-running title defense streak ever. Miami, Florida -- Fight Time Promotions has been Florida’s best MMA promotion for several years since being founded by the late Olympic Boxing Gold Medalist Howard Davis Jr. The promotion has produced more than 30 events, many of which have been featured on the CBS Sports Network, Comcast SportsNet, Fox Sports, and HBO Plus. Their extensive roster of over 80 fighters under contract will help grow a pool of athletes and further extend Alliance MMA’s geographically friendly platform in the key market of South Florida. Hammond, Indiana – After finding success in the pageant world, former Mrs. Indiana winner Danielle Vale and her husband Paul were drawn to the sport of MMA. They ended up creating Hoosier Fight Club, with the intent to bring the spotlight and professionalism to the sport they thought it deserved. Promoting the first sanctioned Mixed Martial Arts event in the state of Indiana, HFC is considered by many in Chicagoland to be the established leader of the local MMA scene. With over 25 events under their belt and new deals across the Midwest, HFC will continue to bring the best and brightest to the sport, sending athletes to the big show – like UFC veterans Neil Magny, Felice Herrig and more. Baltimore, Maryland – The brain-child of John Rallo, Shogun fights regularly packs one of the biggest regional MMA venues – the Royal Farms Arena with some of the best MMA shows in the Mid-Atlantic region. With a successful (albeit short) MMA career and stint as a celebrity bodyguard under his belt, Rallo focused on opening a Brazilian Jiu-Jitsu Academy after receiving his blackbelt from Renzo Gracie himself. During this time he worked towards legalizing MMA in the state of Maryland, eventually passing legalization in one session – an unheard of feat with new legislature. With the arena wide-open, Rallo has spent the last few years promoting shows and building a roster of packed talent, with several fighters going to the UFC. A hotbed for celebrities and UFC stars, Shogun events will continue to be a Baltimore mainstay for time to come. Bellefontaine, Ohio – founded by Scott Sheeley, and currently helmed by GM Dannon Svab, Iron Tiger Fight Series currently hosts approximately 10 plus MMA events per year in various cities throughout the Ohio region. Since launching its inaugural event, Iron Tiger Fight Series has promoted more than a dozen fighters who went on to compete at the highest-level of professional MMA competition with Ultimate Fighting Championship (UFC), Bellator and other premier promotions. Names like Matt “The Immortal” Brown, Dan “Dragon” Spohn, and Jan “Cuddles” Finney all fought for Iron Tiger promotions as a means of catapulting themselves to the big show. Memphis, Tennessee – What began as a lobbying effort alongside UFC superstar Quentin “Rampage” Jackson, V3Fight’s Nick Harmier’s efforts in the sport didn’t just end with the sanctioning of MMA – it culminated into a regional MMA promotion blazing its way through the South. Currently in 6 different venues in their area, V3Fights is one of the fastest-growing regional promotions in America. Some of the most recognizable alumni to come out of the V3FIGHTS ranks include Bryce Mitchell, Jason Knight, Chase Sherman, Eric Shelton, Eryk Anders, Andrea Lee, Brandon Davis, & more. Atlanta, Georgia - National Fighting Championship was founded by David Oblas in 2007 after a re-brand of his organization Undisputed Productions, LLC which stemmed from the acquisition of US Freedom Fighter Championship (USFFC). Oblas was once the youngest promoter in the history of fight promotion in Georgia and the longest-running promoter in the state. Going back to their days as Undisputed Promotions LLC, Oblas and his crew promoted 100 plus events at a number of venues in and around Atlanta. They currently produce regional MMA events at Center Stage in Atlanta, Infinite Energy Arena in Duluth, GA, Electric Cowboy in Kennesaw, GA, and the TD Convention Center in Greenville, SC. NFC is the 9th regional MMA promotion operating under the Alliance umbrella and serves as a perfect fit for tapping into one of the US' major media markets. Los Angeles, California - SoCa Fights promotes the Fight Club OC fight series at The Hangar on the grounds of the OC Fair & Event Center now in its eighth season and on a four-year sellout streak. Prior to the formation of Fight Club OC in 2011 they promoted the highly-successful Battle in the Ballroom professional boxing shows at the Irvine Marriott Hotel for 25 straight years. This bi-monthly professional boxing show was the longest-running club pro boxing show in the country. 36 current or former world champions have fought at the Marriott, including Shane Mosley and Johnny Tapia. In 2007 they became one of the first boxing promotions to introduce Mixed Martial Arts shows to the Battle in the Ballroom concept. With the addition of the Rumble On The Water series at the historic Queen Mary in Long Beach, CA and the Coliseum Gladiator MMA Championship Series at the LA Coliseum, SoCa Fights will promote close to 20 shows in 2018, more than any other promoter in the state of California. 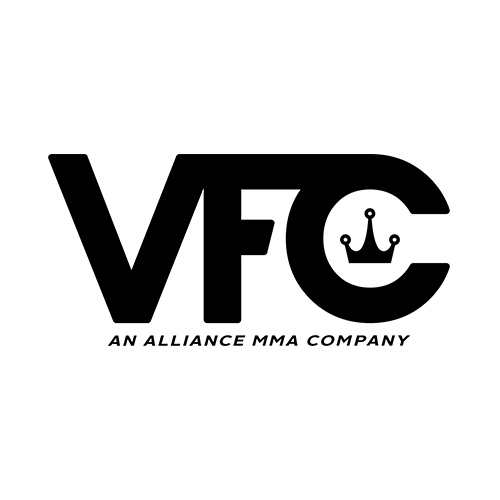 Omaha, Nebraska - Victory Fighting Championship, an Alliance MMA company (NASDAQ: AMMA), is the premier brand of mixed martial arts in the Midwest. Headquartered in Omaha, Nebraska, Victory has provided thousands of fans with high-quality, competitive and entertaining fights since 2002. Victory has launched the caeers of some of the biggest names in the sport such as UFC lightweight champion Benson Henderson, Spencer Fisher, Jorge Gurgel, Josh Neer, Mirsad Bektic, Jake Ellenberger, Travis Browne, Drew Dober, and Anthony Smith. These Victory fighters have risen to the fabled heights of their chosen sport. As an institution that continues to grow and thrive, planted firmly in nation’s breadbasket, VFC stages events in the region’s top venues with some of the largest audiences for the sport. For more information, visit VictoryFighter.com and follow Victory Fighting on Facebook.com, YouTube.com/victoryfighting and @victoryfighting on Instagram and Twitter. SuckerPunch Entertainment is the premier athlete management and marketing company in the MMA industry. Their roster boasts over 100 fighters including some of the very best in the world like UFC Interim Featherweight Champion Max Holloway, and UFC Women’s Bantamweight Champion Germaine De Randamie. For nearly 10 years, SuckerPunch Managing Partners Brian Butler-Au and Bryan Hamper have delivered full-service exposure for their clients by embedding their brand into the fabric of one of the world’s most exciting sports. The SuckerPunch team prides itself on ensuring that each of their clients feel they are receiving the best possible management service, and with an operating philosophy of providing a permanent home for every athlete who signs on the dotted line. CageTix.com is an established ticketing agency for combat sports, including mixed martial arts, boxing, jiu-jitsu, and Muay Thai, and is the first ticket sales service to focus specifically on the MMA industry. CageTix’s ticketing platform offers Alliance the opportunity to expand ticket sales and event attendance throughout its promotions as well as provide business-to-business MMA ticketing solutions.